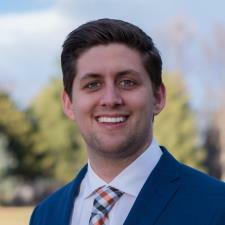 I completed my Master of Accountancy at the University of Denver early in 2017, and finished all four parts of the CPA exam before graduation. I currently work at a Big 4 accounting firm in New York city, and while I love my job, I miss tutoring. I am excited about the opportunity to share some of my educational experience with others through this platform. I was a Teaching Assistant for numerous professors and classes during my college career, and have plenty of experience tutoring students ranging from first years to Master students. I have also tutored elementary and middle schoolers through volunteer programs. I love seeing students reach their "aha moments," and knowing that the time spent with them pays off is a reward I love to work for. I tutored multiple managerial/cost accounting classes, as well as financial accounting classes, ranging from intro level to intermediate level. I have passed all four CPA exams, and my career is constantly teaching me to apply what I have learned. I am a certified Microsoft Excel and Word user, and have taught classes to elderly and lower income community members in South Africa. I look forward to chat about tutoring opportunities, and hope that we can find a good fit! Reach out to me any time to set up a lesson. I am very flexible and want to ensure we find the best solution for your situation and learning style. I have a Master of Accountancy (2017) degree and passed all 4 CPA Exams. During my college career, I tutored students ranging from first years to Masters students in a range of Accounting topics, including Financial Accounting. I currently work for a Big 4 Accounting firm. I have a Master of Accountancy (2017) degree and passed all 4 CPA Exams. During my college career, I tutored students ranging from first years to Masters students in a range of Accounting topics, including Managerial Accounting. I currently work for a Big 4 Accounting firm.